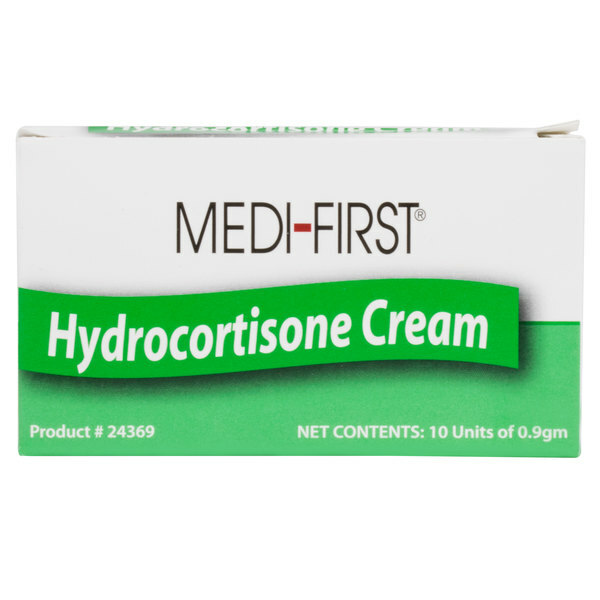 Treat minor skin irritations, itching, and rashes this Medique 24369 Medi-First Hydrocortisone 1% anti-itch cream. From busy chefs trying to keep up with a busy dinner rush to students racing around on the playground, injuries are bound to happen. Additionally, scratching bare skin is not only annoying, but it's also very unsanitary. This anti-itch cream will help sooth irritations and keep those minor annoyances from becoming big problems. Keeping this extra layer of protection on hand is perfect for quickly addressing any mishap in your business. 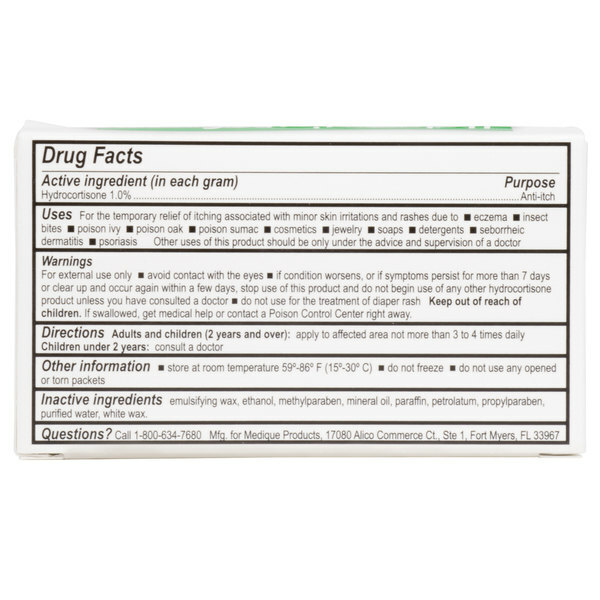 Use this cream to stock your medical cabinet or kit at your construction site, commercial kitchen, office, or school. Each packet contains .9 g of cream that utilizes to help relieve and sooth slight burns. Simply clean the affected area and apply a small amount with your finger. When handling food, never use this cream in place of a bandage or wrap on an open rash or wound. For best results, always thoroughly read the directions and warnings on the box. Medi-First Disposable Plastic Tweezers - 4 1/2"
Great convenient box of individual cream packs. Easy to open and dispenses decent amount of cream from one pack. Works on bug bites and other small skin irritations. Who doesn't need little packets of anti itch cream lying around? These are perfect for those random skin irritations that pop up from time to time. Single use hydro-cortisone create. Perfect for a first aid kit, car or purse to have on hand in the summer to treat mosquito bites and poison ivy. These have become a perfect item not for employees, but for guests. 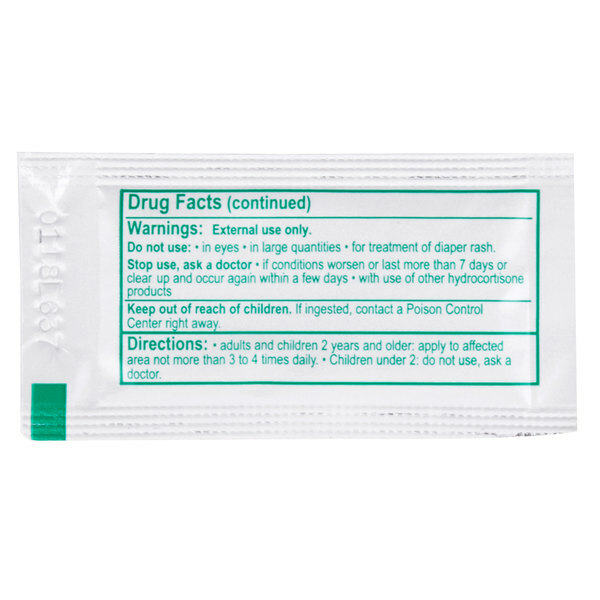 The two times we have opened up a packet of hydro-cortisone it has been because of bug or bee sting. As advertised with very quick shipping ! Nothing special but always good to keep around the office. I like it being in small packs so as not to waste it. My kids ran through this box in no time as it really works and they had poison ivy up to their eye-balls! They are easy to store and to use straight out of the individual packets, not to mention they can be opened and sealed back for later use without the fear of drying out. 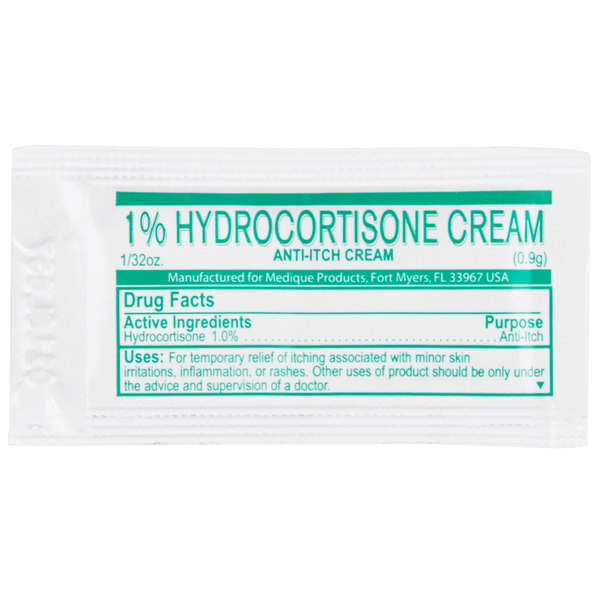 Love this hydrocortisone cream I take it everywhere with me I even put it in my first Aide kit at home and at work works really fast and extremely effective. We have a house in the woods and these packets are great to have to little bug bites to help with the itching. Great relief for nasty bites! 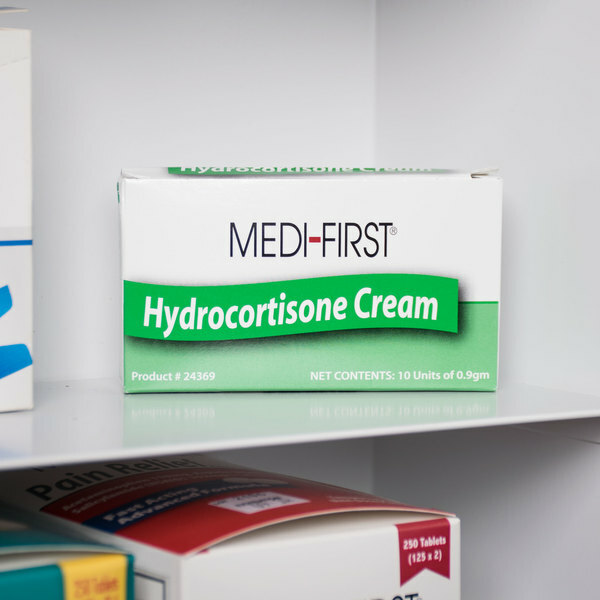 The medifirst hydrocortisone cream is great to have on hand. This anti itch cream works great and is easy to keep around in small packets. I love the way this cream is packaged – it's in individual packets, which makes it super portable and easy to slip into a purse or wallet for when you need it. Provided immediate relief for my bug bite. these are perfect little packets of hydrocortisone cream that are great for when you go hiking and might run into poison oak or get a rash otherwise. they're very handy to have in the car or purse or first aid kit. These are great for first aid kits. They are reasonably priced, well packaged, and just what you need for an unexpected insect bite or minor rash. A lot of kits don't even include hydrocortisone, so they are also a good choice to upgrade existing kits. I had a weird rash on my arm that I tested this stuff out on and it did a great job at preventing some of the itchiness. These are convenient to put in small first aid kits. I put them in kits that I take hiking or in other places where I don't want a full first aid kit.